I woke to the racket of big rig trucks on their morning move across New York State. The expressway overpass that was my roof rattled under screaming tires and I figured it was time to hit the road. I was headed toward a road through the heart of the Catskill mountains, a road respectable enough to earn a little black squiggle line on my map but not worthy of a number — just the notation Frost Valley. 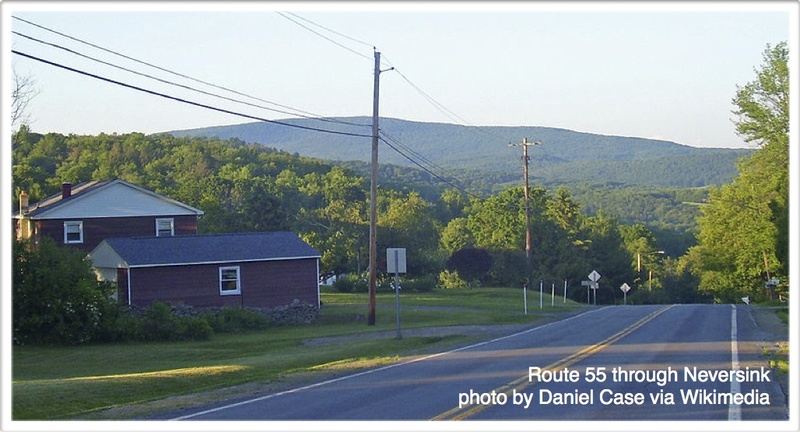 I enjoyed lovely little Route 55, winding its two-lane way through broadleaf forests and cleared farms between the overpass that had served as my tent at Liberty, New York, and Frost Valley. About half way between the two my map showed a community called Neversink. The name caught my eye. A mountain town called Neversink? Had it once had neighbors that had sunk? Most curious indeed. What I found was a lovely community of freshly painted houses. And a most poetic set of circumstances, indeed. 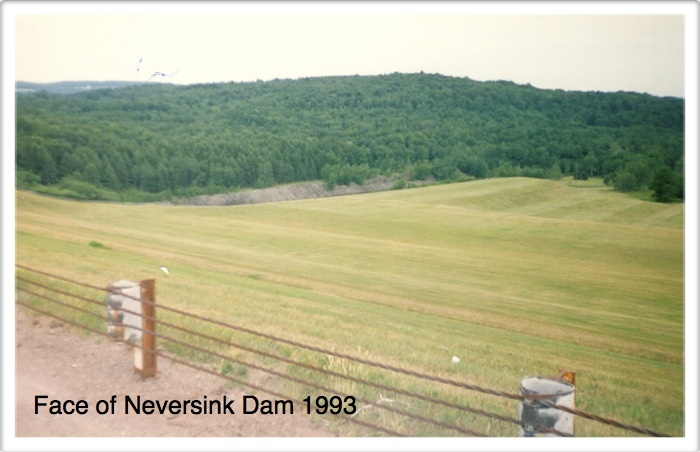 It turns out no one really knows the origin of the names Neversink River, Neversink Township and Neversink the town. There is speculation it came from in Indian word but that is disputed. 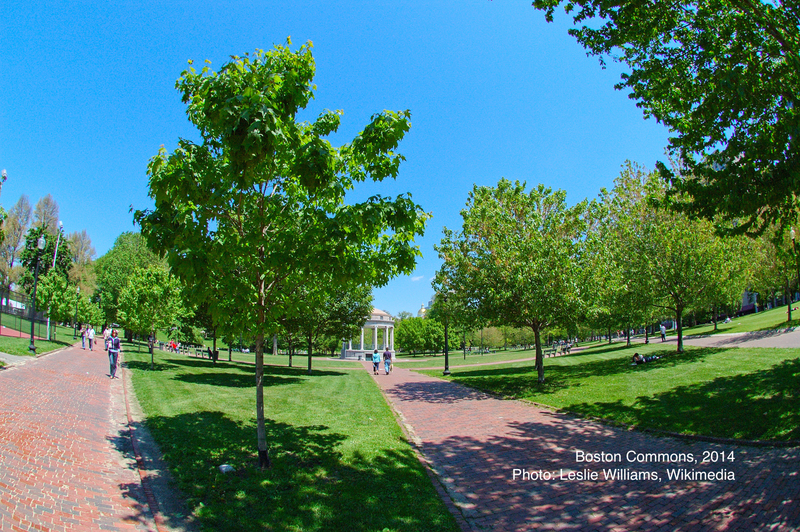 We do know the town was established on March 16, 1798. 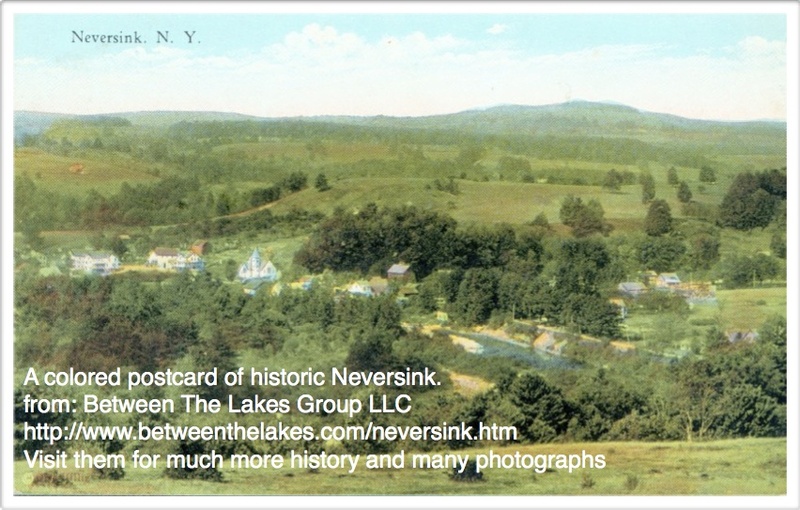 And we know that, of all the towns and cities that have been established in New York State and these great United States, Neversink is one town that did, indeed, sink. It seems New York City, some seventy-five miles to the south, was thirsty. The city began looking for more water in 1941. 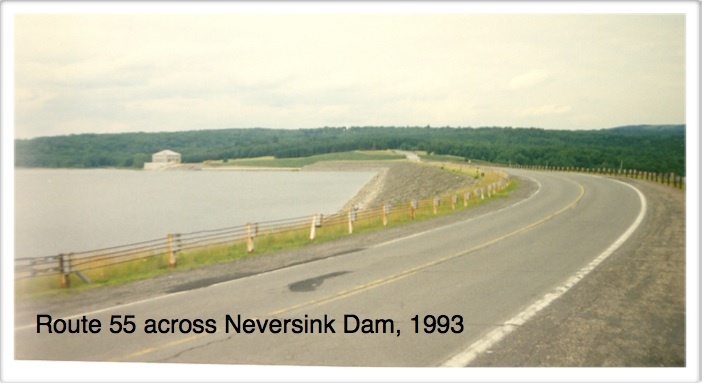 Its first choice for a reservoir was shut down by squabbling over quality fly fishing, so the city dammed Neversink River instead. Today this reservoir joins three others in the area to supply half the city’s water. The reservoir was complete in 1953 and was supplying water at its planned capacity by 1955. And that’s how lovely Neversink the town was condemned to slip into the watery deep. Residents rebuilt about a mile away and above the waterline. There was another community on the Neversink River that met the same fate but not the same end. 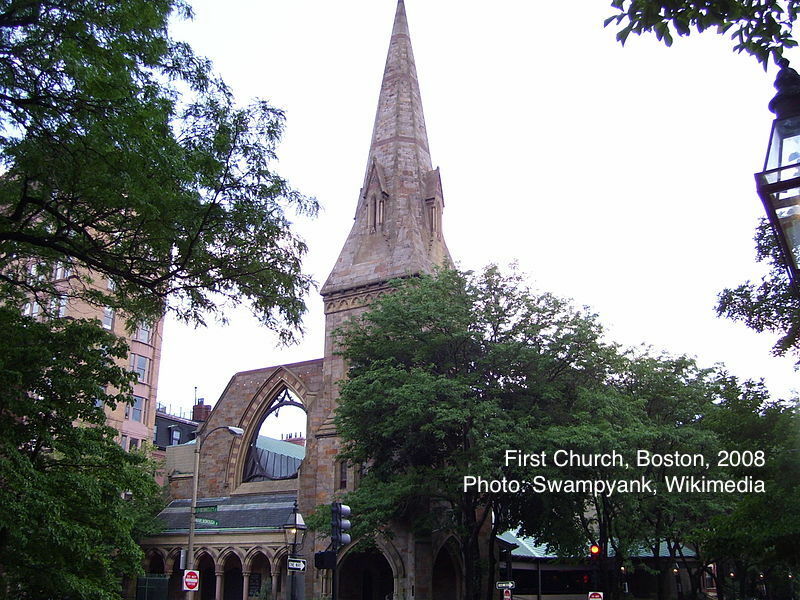 It was never rebuilt and is lost to history. Its name? Bittersweet. This entry was posted in Hitchhiking and tagged Liberty, Neversink, New York, water supply on March 5, 2014 by deansgreatwahoo.